I hope everyone enjoyed the bank holiday weekend! 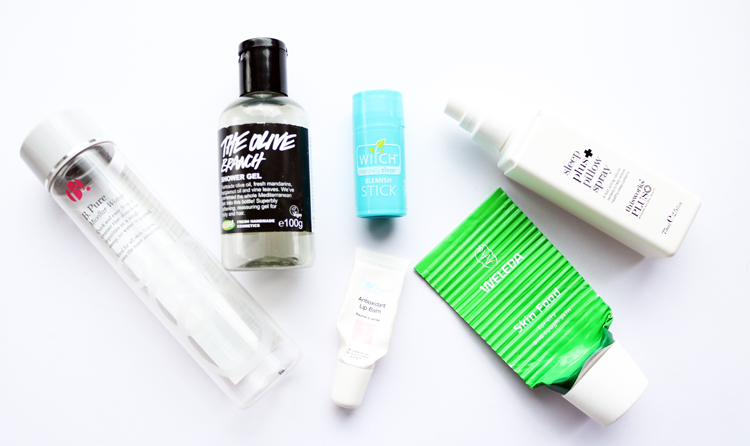 Here are my April Empties - all of the beauty products that I managed to finish up recently and my thoughts on whether I would repurchase them again or not. One of my favourite micellar waters and a good budget friendly dupe for Bioderma, I've gone through my fair share of these bottles! I like using this to mainly remove my eye makeup as it's gentle, and doesn't irritate or sting like some others do. Repurchase? I'm currently using up a Vichy one but will no doubt buy this again in the near future. Another long term favourite product of mine, this small bottle was from a Christmas gift set and reminded me why I loved it in the first place. It's got a really uplifting, almost musky/unisex sort of scent that's completely different to the typical sweet or fruity fragrances that I tend to lean towards, so I enjoy alternating it with my other shower gels. Repurchase? Yes. Handy compact salicylic acid and witch hazel based spot treatment, which is great for dabbing onto any emerging blemishes. Really helps to calm down inflammation and reduce the size of spots overnight, plus it's less than £3 - bargain. Repurchase? Yes. Despite loving a lot of The Organic Pharmacy's skincare, this lip balm wasn't a game changer or anything special for me. It was OK but there are much better lip balms out there with similar ingredients for half the price. Repurchase? No. If you have trouble sleeping and like lavender, you need to try this. It's a much more concentrated version of their normal Pillow Spray, so I found it lasted quite a long time, even with regular usage. Amazing stuff that lives up to its namesake. Repurchase? I've got the NEOM one by my bedside, but I think I like this one more so will definitely pick it up again. 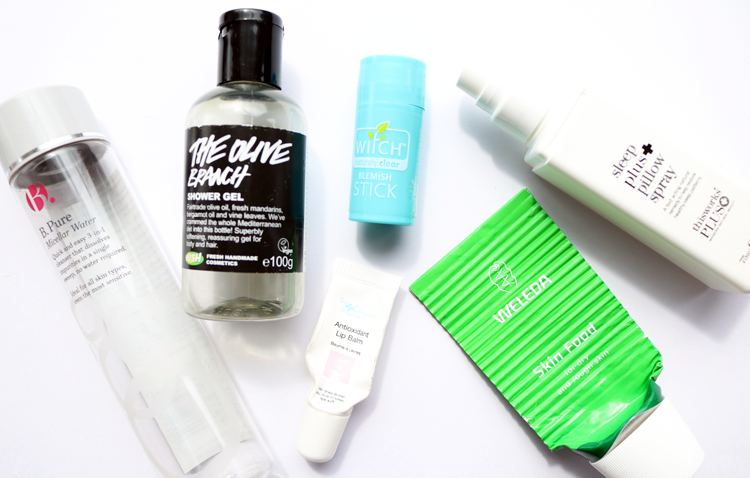 This iconic green tube of goodness often makes an appearance in my Empties posts but I don't usually get through them so quickly! I'm blaming the extended cold and wintery weather we've been having, which has been drying out my poor skin. Luckily, this works a treat at putting the moisture back in - I use it on my face, on my hands, feet, cuticles, everywhere! Repurchase? Already have. Skin Food is a big 'holy grail' product for me, it's such a wonderful product! And I have to say, for the price, I think the Witch Blemish stick is one of the best products of its kind on the market, I always end up going back to it!